Agni Information Systems Private Limited - Service Provider of backup management services, network management services & it security services since 2008 in Bengaluru, Karnataka. How secure is your information? The last thing any company needs is a setback due to an IT disaster. You can take steps now to prevent loss of your critical data. Let us keep you covered and reassured that everything you need to keep your business moving forward will always be safe and protected. What are Backup Management Services? Backup Management Services ensure that you have a strong and constantly verified Disaster Recovery strategy. This service ensures that all your critical data is backed up within a timeframe that meets your business needs and that the data backups are verified consistently. 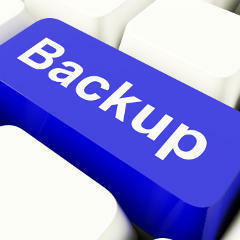 What are the benefits of Backup Management Services? You will rest assured knowing that your data is safe and secure. You will eliminate the risk of losing your critical information. You will have a robust disaster recovery strategy to ensure your data is available to be restored at any time. Having an inefficient or disorganized network management system can cause serious problems for your business. Agni Information Systems can handle your network monitoring and network management requirements so that you can focus on driving growth. Your network is critical to your business, but it's not the primary focus of your business. In order to compete effectively, you need a way to optimize your network without diverting resources from other areas. What are Network Management Services? Our team can help you to evaluate your current network management strategy and develop an appropriate course of action. We can bring your network management to an even more effecient level. We can provide automated alerts, track issues, resolve problems and much more. Proactive monitoring ensures problems are detected early and corrective action can be taken, reducing the risk of costly network problems and downtime. 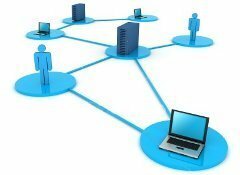 What are the benefits of Network Management Services? You will be able to free valuable resources for other projects. You will have full visability and control of your networks. You will have a network running at its best, with minimum downtime and increased application performance. You will be able to scale the network management services you need to match your current business needs. You will have network problems resolved quickly. Stability and security are integral to any successsful business.How secure is your data? We want you to be free from concern over your IT security, so that you can focus on your business objectives. Your information is too valuable to let it be vulnerable. Agni Information Systems can provide you with the expertise and experience to keep your information secure. This service ensures your organization's IT infrastructure is up-to-date and well administered in terms of technologies and posture to effectively manage threats. What are the benefits of Managed Security Services? You will have a comprehensive and flexible monitoring and incident response. You will have flexible and scalable solutions to support growing business needs. You will lower the total cost of ownership for your network. You will reduce risk though rapid threat detection, with timely and accurate alerts to allow appropriate defensive measures and rapid response. Enhance the security of all the elements on your network. Open source solutions are proven in the field of security and are most often much more secure than their proprietary equivalents. The very nature of open source software allows extensive peer review, and hence a more secure solution. The TCO (Total cost of ownership) of OSS software is well pr oven and the lack of upfront licensing fees etc allows powerful tools to be easily incorporated into the enterprise. The perceived lack of support that pushes companies to commercial solutions has been addressed by Agni and OpenSource +Agni becomes a potent security solution that outperforms other offerings at a lower cost of ownership. A network is more than just plugging in PC’s on physical infrastructure. The data rates and network segment loads should be characterized and provided for in the routing topology. A management console that allows centralized monitoring and control of the network segments is covered in this service.